Sens. 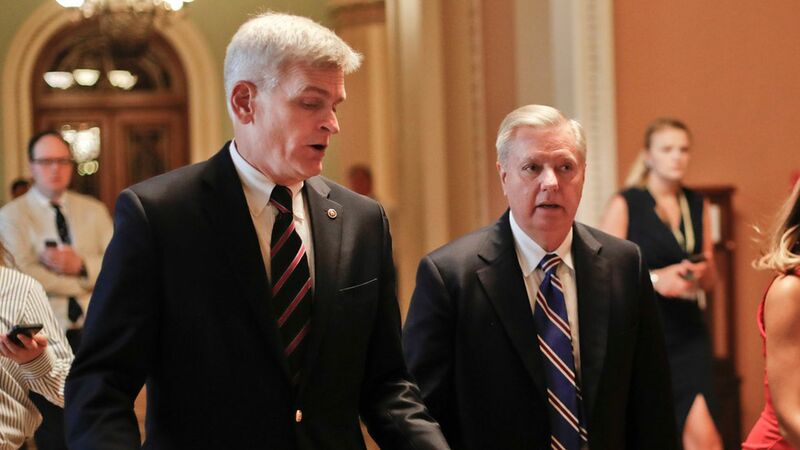 Lindsey Graham and Bill Cassidy have revised their health-care bill, allowing states to loosen more of the Affordable Care Act's regulations while diverting more money to the states whose senators hold the deciding votes on the legislation. They will formally release the revised measure tomorrow. Why it matters: The deadline to pass a bill with just 50 votes is Saturday. The Congressional Budget Office is expected to release preliminary estimates this week of the initial — and now outdated — version of the bill. With the clock ticking and little time for independent economic analyses, Graham and Cassidy are making a last-minute play for senators who have been critical not only of the bill's contents, but of the rushed process, too.